Muggles, take notice. You’re about to be given the chance to peek behind the confounding charms that separate us from the wizarding world. Your journey will begin at King’s Cross station’s famous platform 9 ¾ , where a simple trip through the brick divider (best do it at a bit of a run, if you’re nervous) will find you staring down the famous Hogwarts Express. As it pulls into the station, billowing smoke and announcing its presence with an echoing whistle, you’ll be forgiven if you quickly check the skies for a flying Ford Anglia. 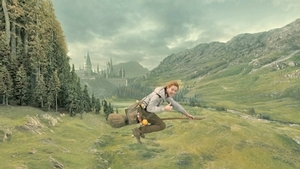 Once onboard, you’ll be treated to a dazzling immersive experience featuring Buckbeak the fugitive hippogriff, Hogwarts groundskeeper Rubeus Hagrid on his flying motorcycle, and even the irrepressible Weasley twins causing who-knows-what mischief. Don’t get too comfy, though. The infamous Azkaban guards, the Dementors, are known to prowl the lines to Hogsmeade. This immersive experience, if we may return to the muggle world, is part of an ingenious cross-park promotion between Universal Orlando Resort and Universal Islands of Adventure. The journey begins at The Wizarding World of Harry Potter – Diagon Alley –opening this summer. 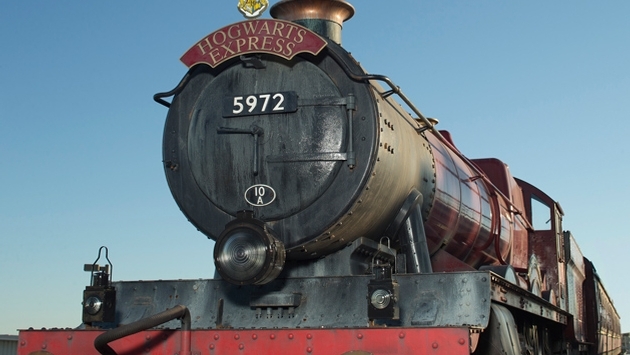 The train will connect the new land in Universal Studios Florida with The Wizarding World of Harry Potter – Hogsmeade in Islands of Adventure – allowing guests with park-to-park admission to enjoy a real journey aboard the iconic locomotive. According to a release from Universal, an actual train ride experience to connect two spectacularly themed environments has never been done before. The Hogwarts Express experience combines powerful storytelling, live special effects, lifelike animation and state-of-the-art technology to take riders on the journey of a lifetime. 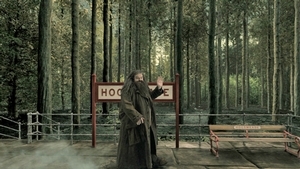 Guests will enjoy two completely different experiences depending on whether they’re traveling to Hogsmeade or London. Park-to-park admission is required to experience the Hogwarts Express journey from The Wizarding World of Harry Potter – Diagon Alley (located in Universal Studios Florida) to The Wizarding World of Harry Potter – Hogsmeade (located in Universal’s Islands of Adventure). The park’s website has more details.